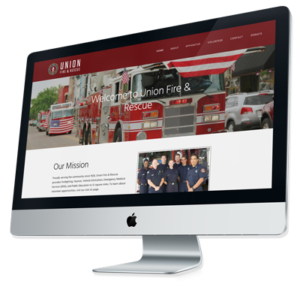 With the internet evolving at such a rapid pace, it becomes all the more imperative for your fire department have a website that is modern and responsive. A good website is the first repository of information, and one of the first places where people will look when they want to learn more. For better or for worse, many people now use websites as their first and last impression, especially when searching for information. Having a well-designed, easy to navigate website ensures that people will leave with a positive lasting impression of your department, so you must make this count. Not only is a website a way to make a great first impression, but it is also a good way to open a method of communication that is both efficient and easy for both you and visitors. Some of the features you could choose to include is providing online forms wherein users can ask questions without needing to call, or at least general contact information for immediate questions. The last point directly ties into this one, a good website will provide general information without needing to constantly call in. This includes recruiting information for volunteer, along with benefits. Many volunteer fire departments often struggle with recruiting efforts, and not having access to information tends to be part of the problem. By having information in one easy and accessible place, recruits can get the information they need and this convenience tends to go a long way in helping form a positive impression. Not only is a website useful for information, but also for fundraising efforts. Besides the fact that people will learn more about fundraising efforts and what the money is used towards the site, but the site itself can be designed to take online payments. This can either completely replace how funds are currently collected, or serve as a complimentary method for those who would rather pay online. Often, it is hard for volunteer fire departments to highlight all of the great things that they do, and the effort that goes into protecting the community. A well-designed website is able to communicate this information, and create a healthy sense of awareness for all of the hard work that goes into running and working in a volunteer fire department. A good website will also be able to house many sorts of content, but the most important aspect is creating a reliable source for basic safety information, as well as timely alerts and other safety information. Both volunteers and the community as a whole can look to your site for necessary information, and it can easily become an indispensable resource. A website is also incredibly important from a social media perspective, and is vital for a successful social media strategy. A good website can complement a social media strategy by linking relevant articles, as well as housing tweets, posts or any other sort of content from social media. Ultimately, the website will be the most comprehensive resource to learn more about the fire department from both a recruiting and community standpoint. While creating a website may seem daunting at first, if deployed correctly, it will yield great results. Aim to develop a site that will become a valuable resource for information, whether it is recruits trying to learn more or members of the community needing basic and timely information. Volunteer fire departments will serve themselves well by creating a website that is responsive, modern and functional.